A Family Mardi Gras Night! 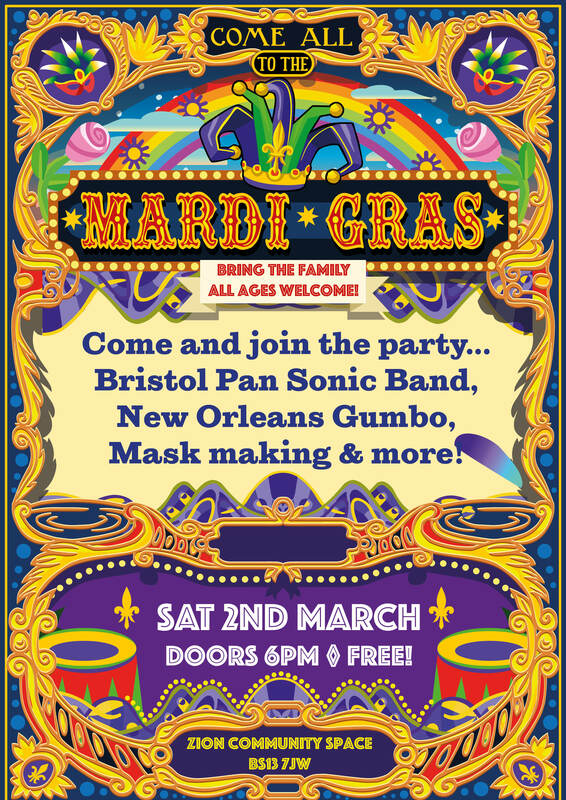 We will have Carnival mask making, a steel pan workshop plus a DJ, New Orleans Gumbo and a full bar! Suitable for all ages, doors at 6pm, tickets are free but must be booked in advance due to limited capacity.